The popular business author seen below, Malcolm Gladwell (who wrote The Tipping Point and Blink), has a book that explains how professional success may not just depend on intelligence and talent. In Outlers: The Story of Success, Gladwell argues that it is how one takes advantage of a particular opportunity, at a particular time in history, can be the real deciding factor. Related: 4 Tips For Giving Your Entry-Level Resume Veteran Appeal In fact, he shares a compelling story of Bill Gates and how his private school's access to the latest computer technology allowed him to learn computer programming at a faster rate - ultimately enabling Gates to put thousands of hours of programming under his belt as a teenager. Gladwell says this series of events was the real catalyst for Gates' success. To validate his theory, he also notes that several other titans of the PC revolution were born around the same time as Gates and had similar advantages. Coincidence? Nope. 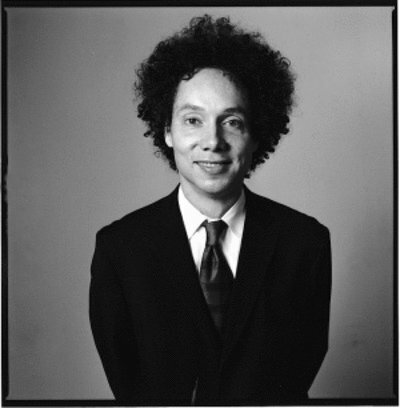 I'm with Gladwell - talent and intelligence can only you get you so far. After that, other factors come into play, like what Gladstone refers to as the "10,000 Hour Rule." Simply put, the "10,000 Hour Rule" says no one gets to the top of their field unless they log at least 10,000 hours of practice. That's right - 10,000 hours! As I read this, I thought, "He's right." Let me explain my own experience with this rule... Growing up, I started working in the accounting office of my dad's engineering firm at age 13. I actually had to get permission from my school's guidance counselor because I was under the legal age to start working. I remember her asking me if my parents were forcing me to do it. I said "no" while secretly thinking "yes!" and then signed some papers that let me work. I worked there both part-time after school and full-time during most summers, right up until I graduated from college. Anyone who's been the owner's kid knows how tough it is. You have to work three times as hard to prove that you aren't getting any favors. I'm not going to lie, I hated it. However, looking back now, I also remember that when I entered the working world after I graduated college, I found it really easy to work with older adults. Better still, I got promoted faster. So, based on the "10,000 Hour Rule," I don't think it's a coincidence that by age 33, I was managing a large division of a company and receiving a really nice salary for doing it. Honestly, I'm not very talented or smart. It was my time working in that boring (sorry, Dad) office job that gave me a head start on my professional knowledge. And this leads to the real point of my post.... One of the biggest complaints I hear from managers these days is the lack of "professionalism" they see from recent college grads. The "10,000 Hour Rule" explains why: most college grads today have not been required to work through high school and college in professional settings. Moreover, managers, parents, and even students themselves today are under the mistaken impression that college teaches this sort of thing. Over here at CAREEREALISM.com we say, "College teaches you everything EXCEPT how to get the job." To sum it up: young professionals don't get a head start logging "office time" that can prepare them for the workplace. This also means they're logging these hours in their first jobs - and frustrating management in the process. So, for any young professionals reading this (actually, it doesn't matter what level professional you are, the rule applies if you want greater career success), consider the "10,000 Hour Rule" as a professional wake-up call: if you want to succeed, start logging hours any way you can. Paid or unpaid internships, part-time jobs, volunteering for extra work at your full-time job, even doing things to advance your career on your own time. All of these are ways to rack up the hours and start reaping the rewards. Oh yes - and be sure to check out our FREE ebook, "The Recent Grad's Guide To Getting A Job," which is designed to provide you with the tools, resources, and training needed to give the impression that you have logged lots of office hours to employers - even when you haven't!